Lot LG.04, Lower Ground Floor, Carrefour Shopping Center, Tropicana City Mall, Lot 7 Jalan SS20/27, Damansara Intan, 47000 Petaling Jaya, Selangor. Part of the Mr Cendol chain. 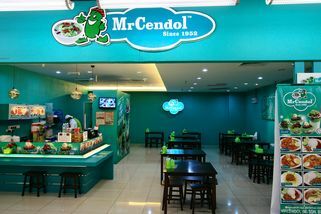 A growing franchise, Mr. Cendol traces its origin to a roadside stall in Sitiawan, Perak in 1952. 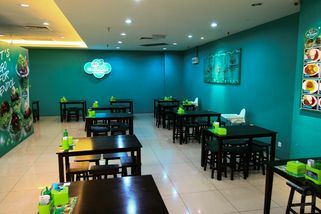 Instead of a “mall stall”, this branch is in a shoplot of its own in the food court, painted in their signature blue-green. The tables are quite widely spaced so you won’t feel crowded in. The secret is said to be the special coconut milk formula and fragrant palm sugar. 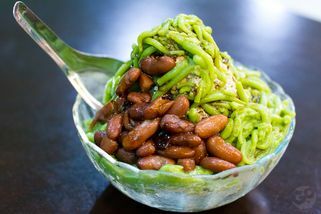 Among the several varieties available are Cendol, Cendol Special and Cendol Pulut. 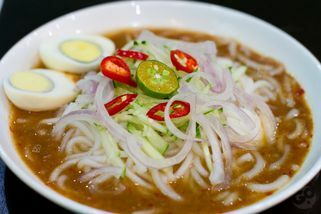 If you’re very hungry, there are local stall favourites like Rojak, Asam Laksa and Nasi Lemak Special. You can collect stamps with every purchase which can be redeemed for a free cendol. A catering service is also available. "The cendol drink is quite good but ..."
They give you a bottle of syrup to be put into their cendol. Turn out it's not sweet and we end up putting tons of it on our cendol ! Yeah, don't need eat the cendol along the roadside! 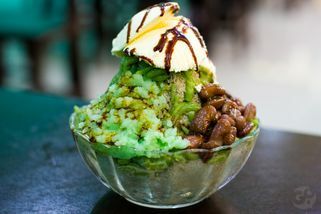 They do provide nice cendol in the town, especially they put ice cream on top of it! 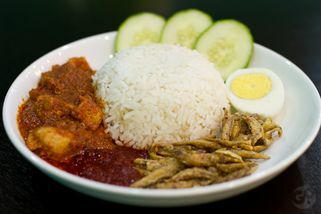 And i just love their nasi lemak, really Nice taste ! 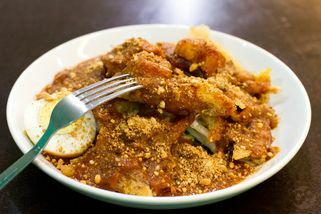 and also cant miss their rojak!